Repurpose these Multi-Wick, Luxury Candles from @FPCandles! 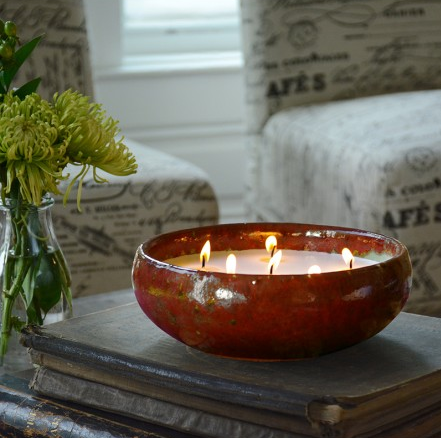 If are looking to get in the winter and Christmas spirit, then let me recommend a beautiful candle company - FlashPoint Candle - that not only creates safe, soy candles but they are beautiful and their pottery can be recycled and used after your candle is gone! FlashPoint Candle started at the Nashville Farmers' Market in 2011, introduced by designer Drea Groeschel. Within 12 months, FlashPoint Candle was shipping nationally and moved into a large facility where this international brand could thrive. Today, FlashPoint Candle is known for their hand-poured, high quality handmade candles -- artful and well-crafted -- each with a story. Using handmade pottery from earthenware clay, every candle will come out different and can be repurposed once it has burned out. The candle is hand-poured, premium soy-blend wax, with collections ranging anywhere from two - 23 cotton, eco-friendly wicks. I received the SAXON- CRIMSON with JUNIPER CYPRESS candle and it is now our favorite candle! Everyone loves lighting it during dinner and watching the beautiful glowing wicks! 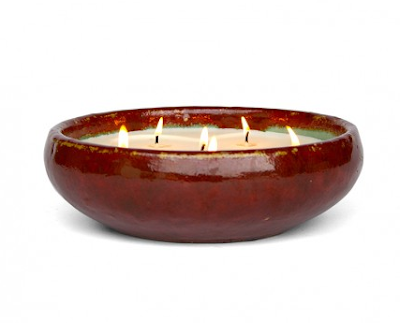 The Saxon Crimson Juniper Candle is a six wick candle hand poured by American candle artisans. The classic holiday fragrance of Juniper Cypress is blended beautifully with premium soy blend wax. Each pottery piece is one-of-a-kind and handmade of Earthenware clay. The Juniper Cypress scent is perfect for the holiday season! You can purchase Saxon Crimson Juniper Candle for $40.60 from FlashPoint Candle's website. The price point varies on other candles from $26 - $379. And make sure to use this coupon code when ordering: REVIEWSTEW15 and it is good for 15% off entire orders, plus free shipping. It expires November 2018.